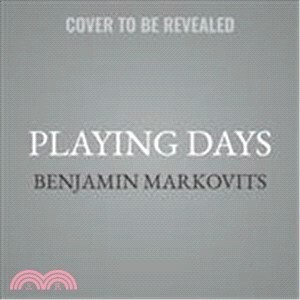 In print for the first time in the United States, acclaimed novelist Benjamin Markovits's Playing Days is a mostly autobiographical narrative concerning the author's season playing minor league professional basketball in Germany and the love affair with another player's estranged wife that ushers him into adulthood. Growing up in Texas, Ben experienced basketball as a mostly solitary pursuit, one he gave up after riding the bench in high school. But as his college classmates prepare for the real world, Ben is seized by an idea. All he needs is a video camera, an empty court, and his mother's German citizenship. Improbably, he lands a roster spot on a lower division pro team in Landshut, forty-five minutes outside of Munich. It's Ben's first taste of competition in years, not to mention his first job. And like most jobs, it's defined by repetition, boredom, and gossip. There's Charlie, the trash-talking mercenary from Chicago; the coach, Herr Henkel, a recently retired player anxious to justify his paycheck; and Karl (based on the author's real life relationship with Dirk Nowitski), a gangly teenage prodigy flashing the raw talent that will make him an NBA star. As a group of men learn how to navigate one another, Ben falls in love with the young mother of a teammate's child, and begins an affair that will change his life. Wry, poignant, and tenderly observed, Playing Days is an evocative meditation on the joys of youth, the triumphs and terrors of post-college life, and one of the best books ever written about what basketball can mean to an American man.